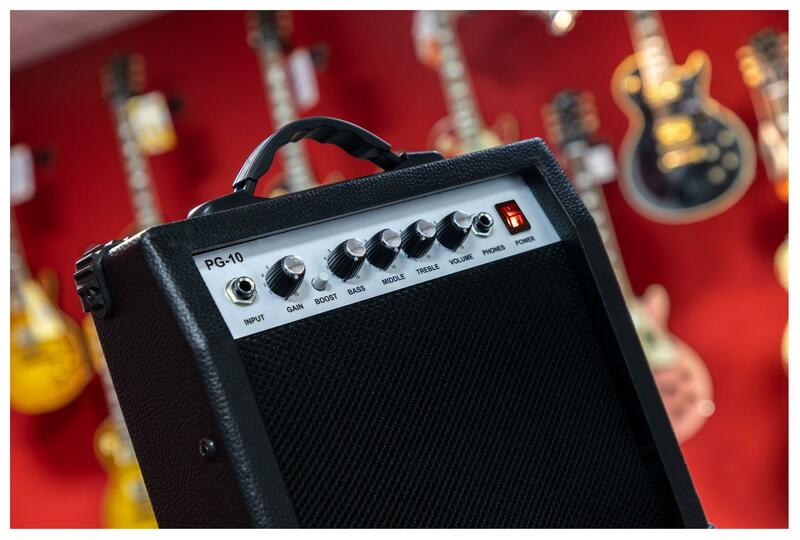 The ideal practice amp for the small purse! 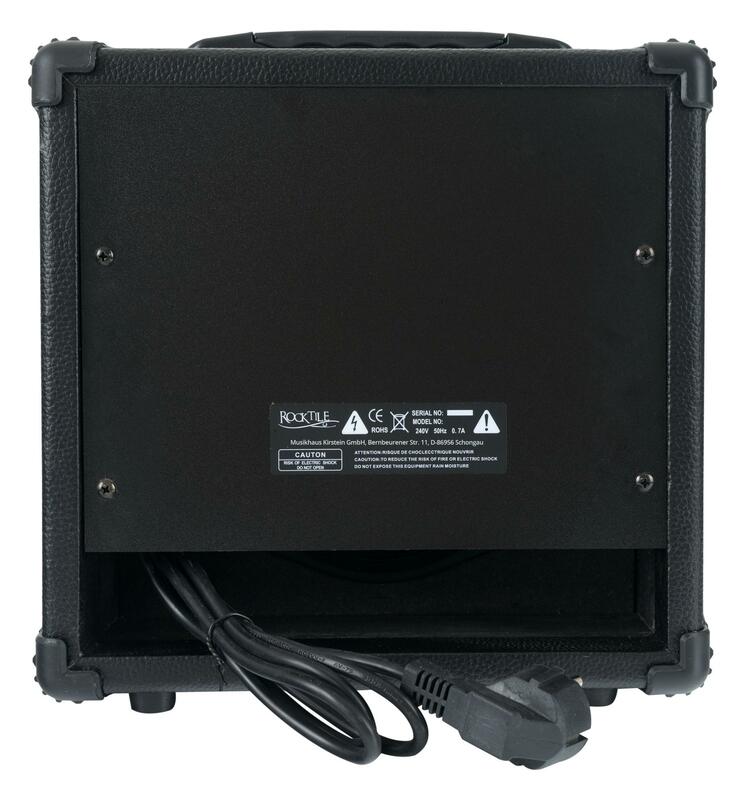 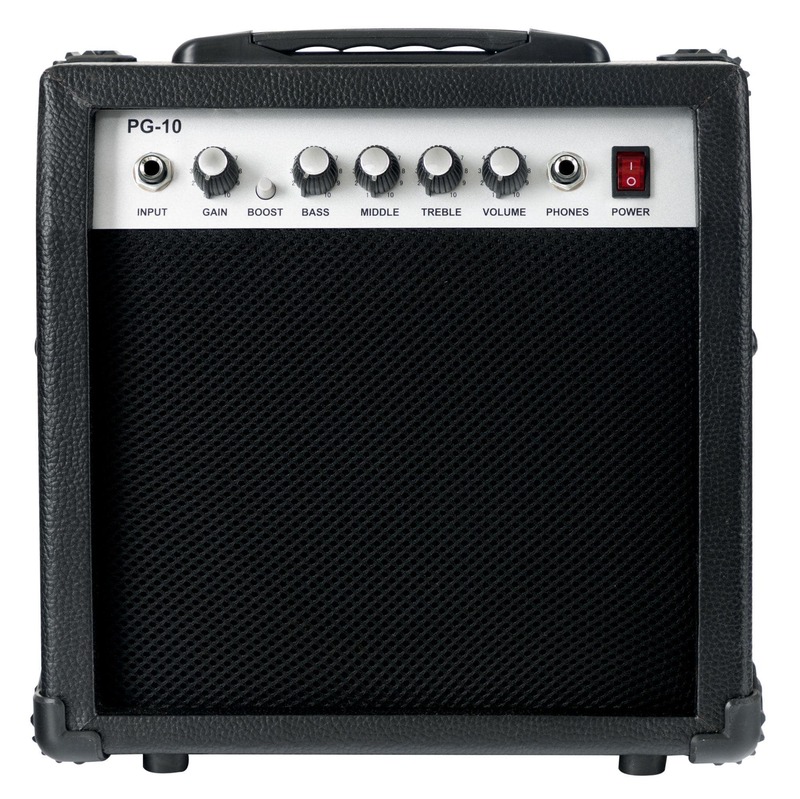 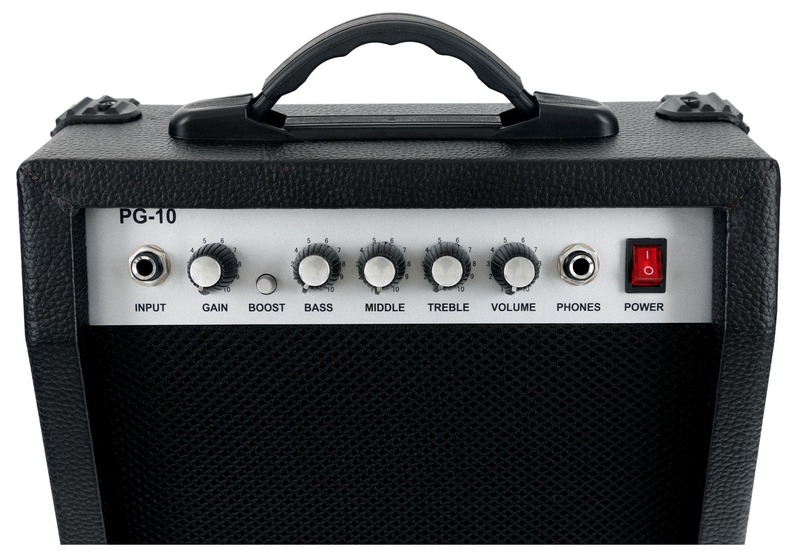 The Rocktile PG-10 amplifier delivers with its 10 watts (RMS) / 25 watts (peak) plenty of power. 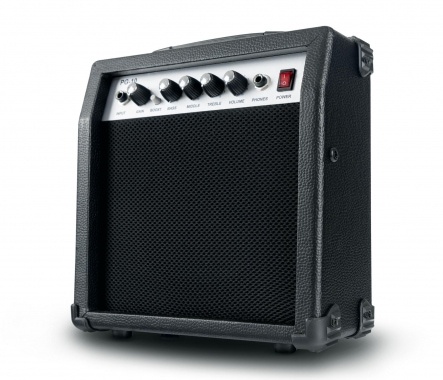 Thus, it is perfectly adequate for practice sessions at home or in the rehearsal room. 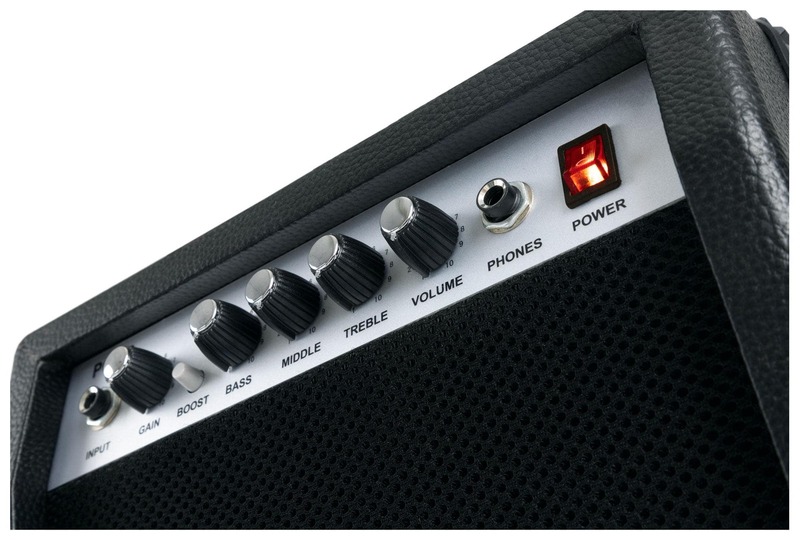 In addition to a Gain control with boost switch age for heavy distortion, the amplifier has a 3-band EQ for bass, midrange and treble and volume controls. 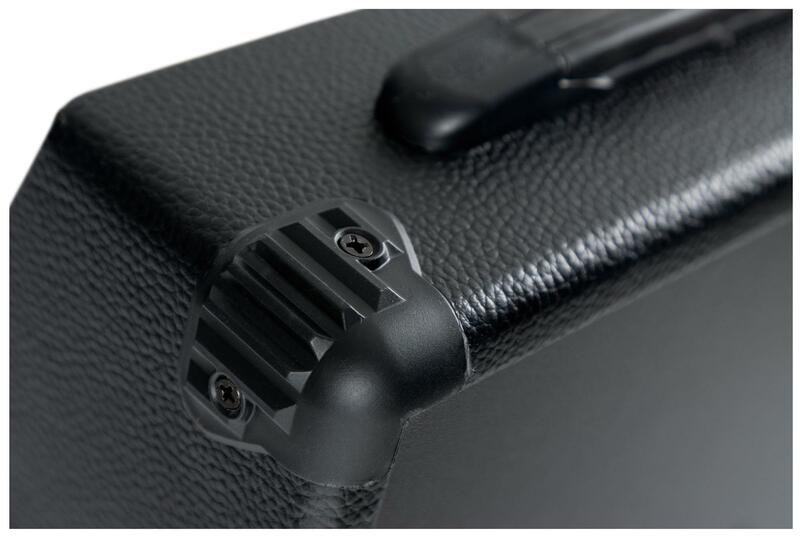 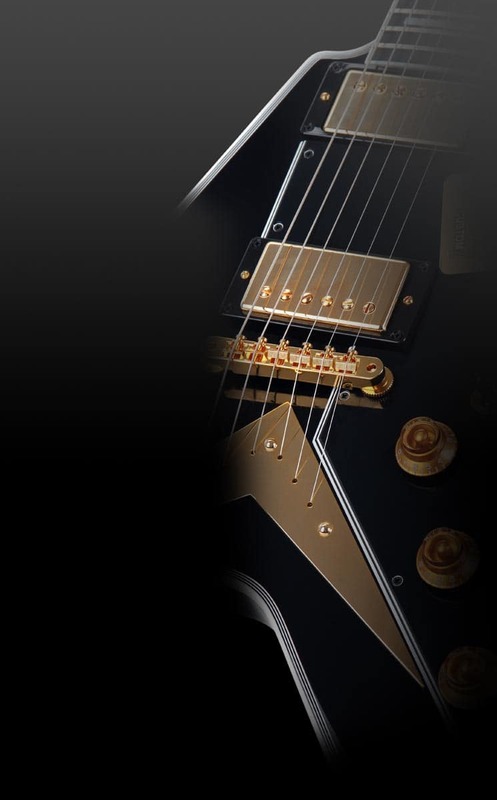 A headphone jack on the front panel ensures silent practicing for late hours, as it will automatically switched off when headphones are plugged.